It's the oldest and lamest pick-up line in the book. "What's a pretty woman like you doing in a place like this?" Even variations on it can stink. Take Inspector Morse from an episode of the long-running BBC television series. 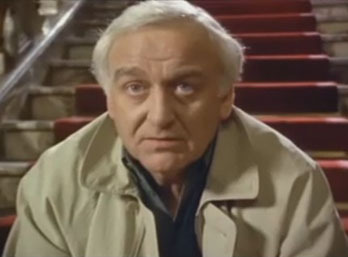 Colin Dexter's flawed chief inspector is played by actor John Thaw. He loves Wagner, crossword puzzles and works for the Thames Valley CID. As usual, the single Morse aches to becomes some old girl's fancy man. This time he walks into the autopsy theater of the local pathology lab. He chats up the new forensic doc. What's a woman like you doing in a job like this? "I'm just like any other ordinary doctor, Morse. You see, I must provide my expert diagnosis on the patient. What I don't have to do is potentially kill him with the wrong cure. He's dead already. No cure is required. I prefer it that way." That cools our man Morse down right quick. Ouch! XTZ's room analyzer software is just like that. Don't expect love at first sight. It provides expert diagnostics on what killed your sound from an acoustic perspective. It simply doesn't do anything about it. Directly. It just provides intel. Incidentally, XTZ could be graffiti for ecstasy. Actually, it's a Swedish specialty firm which offers loudspeakers and electronics. And today's software. 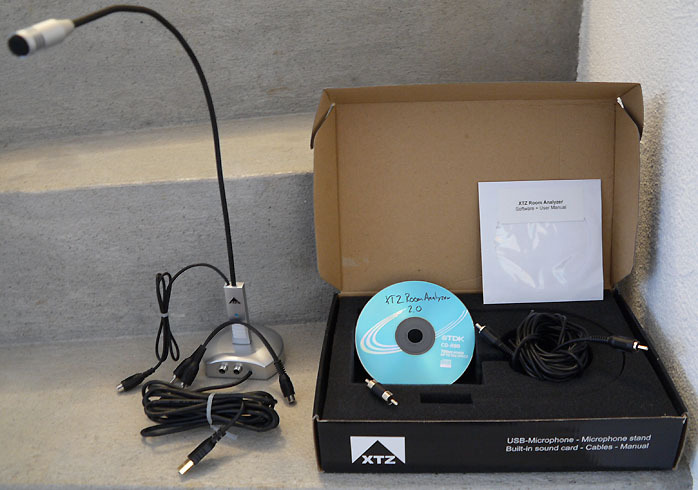 The installation disc ships with a USB microphone, microphone stand, built-in sound card, cables and operating manual. 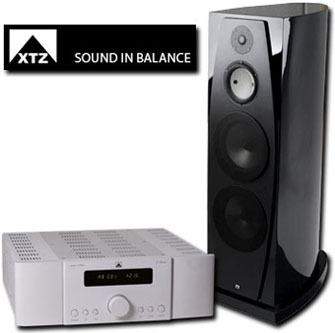 The company motto is Sound in Balance. Getting your room acoustics in shape is certainly mandatory to get your sound in balance. And while a cure does depend on first a correct diagnosis, XTZ can only provide the latter. It's up to you to convert the findings into a remedy. Common addresses would be room treatments—you can now be specific about how many dB of attenuation you need at what main modal frequencies—software correction such as Spatial which embeds itself in iTunes; or hardware equalization by way of a properly equipped active subwoofer or home-theater receiver whose parametric or DSP EQ can now be accurately set. Performance reviews usually comment on audible end results. For obvious reasons, XTZ's Room Analyzer can't be reviewed that way. It makes no sound. It's a DIY measurement tool. How to turn its graphs into audible benefits is the real question. Actually, it's far from straightforward. Anyone with a long room and speaker setup on the short wall for example already knows that moving the listening seat forward or back can elevate or depress bass response if the chair ends up in a node or trough of a room mode. Microphone readings vary with placement. A lot! How to get relevant measurements and translate those into effective remedies is a process which XTZ's software helps monitor but can't complete on its own. What can it do? Using log sine sweep chirps and white noise, it can perform an RTA real time analysis of your speaker's 16 - 20.000Hz frequency response in 1/3rd octave resolution; find room modes in the 16 - 250Hz band; create a reverberation time diagram; simulate parametric EQ settings; export compensation curves into software-controlled equalizers; and precisely visualize frequency response changes instigated by absorbers, diffusers and changes in speaker and/or seat positions. What it needs from you is quietude. Outside noises will give false readings. You'll want to take measurements when your room is exposed to the least background noise possible. You'll also want to take multi-point measurements to insure that a single measurement taken at your listening seat isn't falsified by your chair sitting in a partial null or peak. Finally, you need diligence and willingness to experiment, interpret the results and use them. Otherwise you'll be left with information overload of many natty graphs and ignorance on how to apply them. Does that sound like the disconnect between published hifi measurements and how to exactly correlate them to a predictable listening experience in your home? What's in the box? The above. That's a microphone stand with two RCA stereo jacks and one hardwired 3-meter USB-terminated lead; an omni mike (directional above 5kHz) that's mounted to a 38cm flex stem which terminates in a USB module that's fitted with a green LED, clicks into the stand and sports a 60cm hardwired lead terminated in a female RCA; a short wired male-RCAs-to-single-female-RCA splitter; an inline male-to-male RCA splice; a 5-meter mono lead terminated in male RCAs; an owner's manual; and an installation CD (in lieu of the usual website download of the software). How to get detailed: Check out XTZ's owner's manual PDF for the introductory tour. After you've installed and launched the software, it's this screen which greets you. To get graphic, you must now make the connections of microphone to computer and amplifier. The software on your computer sends its test signals to your amp, the microphone captures them played back through the speakers and altered by your room acoustics and the speakers' frequency response behavior. The screen shows the results. Expect a mess! While a speaker's linearity is traditionally measured within ±3dB—amps, preamps and CD players would be called defective if exhibiting such deviations—room interactions can easily worsen to ±15dB at one of the main hot spots below 200Hz. The XTZ software will sniff out exactly where and how bad. The next three measurements were taken at different distances from the speakers. While the curves obviously look different, the XTZ program did very correctly identify the 3 major room modes at 49Hz, 86Hz and 148 to 156Hz no matter the distance. Measuring RTA at three different distances netted outcomes that show how without any treatments, a very precise determination on optimum listening seat position can already smoothen the response. But it tends to be trading one thing for another. With XTZ, you can look at things from different angles and, in the Advanced tab, get practical by overlaying various curves to 'write' compensation addresses in the software domain.